Oaxaca, the capital city of the southern Mexican state of the same name, contains a fabulous wealth of pre-colonial heritage sites, as well as colonial and contemporary architecture. Aside from its historical treasures, the city is also known for its cobbled streets, shaded squares, colonial churches and busy markets. Oaxaca has some outstanding restaurants, cafés and bars, together with top-notch museums and art galleries. Nearby are charming colonial towns and some of the finest Mesoamerican architecture where the Zapotecs (the original inhabitants of Oaxaca) once made their homes. Spending time in Mexico City is a MUST. It offers centuries of history, impressive museums, incredible food and artsy neighborhoods. Beyond that, there’s an authenticity that makes the city unlike any other – a walk down any street offers something to appreciate, amuse or astound. Join us for this fabulous tour. This is the perfect way to round off your experience in Mexico. 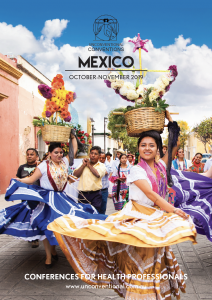 Join the locals for the fascinating Day of the Dead celebrations, immerse yourself in indigenous culture and visit the most extraordinary Aztec ruins set in the lush jungle. A bit of everything – don’t miss out!